NOTE: This guest post was written by Emily Fox. She is currently pursuing an M.A. in Diplomacy and International Relations at Seton Hall University, where she is specializing in Foreign Policy Analysis and International Security, and serves as the Editor-in-Chief for the Journal of Diplomacy and International Relations. 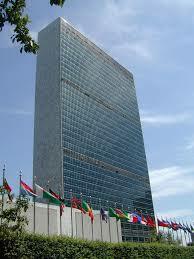 At the United Nations, a decades-old process is experiencing a subtle but impactful change. Spurred by pressure from member states and the general public, the UN has injected its once secretive Secretary-General selection process with a dose of transparency. Monday’s “Selecting the Secretary-General: Process, Politics and Potential” panel sought to raise awareness and promote discussion about the selection process and how new initiatives at the UN can help ensure the next Secretary-General is representative of his or her constituents. Video from the event can be accessed HERE. Photos from the event can be viewed HERE. Candidates in this year’s selection have, for the first time, taken part in public hustings where member states were allotted two hours to question potential leaders. Additionally, candidates in this selection cycle candidates have been required to submit CVs and vision statements for online publication. These reforms took center stage in Monday’s panel as discussants Mogens Lykketoft, President of the UN General Assembly; Lucia Mouat, author, The United Nations’ Top Job: A Close Look at the Work of Eight Secretaries-General; and Edward Luck, Professor of Professional Practice in International and Public Affairs at Columbia University, former Special Adviser to the Secretary-General and Sharkey Scholar spoke with Sharkey Scholar Hugh Dugan about the challenges and opportunities of the Secretary-General selection process. Though these changes may appear miniscule to those accustomed to the lengthy season in many democratic national elections, there is a marked difference in the feel of the modern selection. Recounting years passed, Mouat highlighted the fact that many Secretaries-General had not anticipated their nomination and were less than enthusiastic about assuming the role. Today, in sharp contrast, we see nominees actively campaigning for the position and a process more akin to a CEO appointment than a papal conclave. According to President Lykketoft, reforming the selection process has also lead to institutional introspection as members involved in the process were forced to think not only about what they wanted in a leader but the role of the UN as an organization. Panelists were optimistic about the future of the selection process, explaining that it was unlikely that this year’s reforms would be reversed in the future. As Luck noted, processes at the UN, once established, create precedents and these precedents tend to become ingrained in the organization’s institutional memory. Additionally, President Lykketoft pointed to the existence of large constituencies within the UN that are currently pushing for even greater reform and transparency. Luck also emphasized that this process was a selection, not an election. This distinction is important, as Secretaries-General must recognize that they owe their position to the member states and individualistic leaders face the prospect of being passed over for a second term. Though the next Secretary-General will not be a world ruler, he or she must meet exacting, if not impossible, standards. In order to be selected, candidates must possess exceptional leadership and communication skills. They must be excellent mediators who can help diffuse global conflict, and they must be great administrators who can manage the day-to-day working structure of the UN. And, according to Mouat, a good grasp of the French language never hurts. How do we find such an accomplished leader? It all comes back to the process. According to the panelists, a transparent process with high levels of accountability is important for identifying good candidates, and essential when eliminating poor ones. UN members are hopeful that this year’s reforms will lead to the selection of better leaders backed by the confidence of the member states. “If we take a step back, at the UN, process, politics, and potential are one,” said Dugan. The UN’s ability to acclimate to a dynamic world rests on its willingness to reform. This year’s selection process has proved that the UN has the desire and potential to break from tradition in the hopes of better serving the people it represents.